Net Neutrality is officially dead. As of June 11th Net Neutrality as it was created in 2015 has been repealed by the new FCC. What does this mean for you? If you are a Metroplex Customer, Absolutely Nothing! Metroplex doesn’t throttle, cap, slow down or limit your Internet Service in any way. We will never accept paid prioritization across our network. You will never have to purchase a “Streaming Media Add on” or a “Bandwidth Pack”. We hate the idea of that so why would we subject our customers to the same abuse? 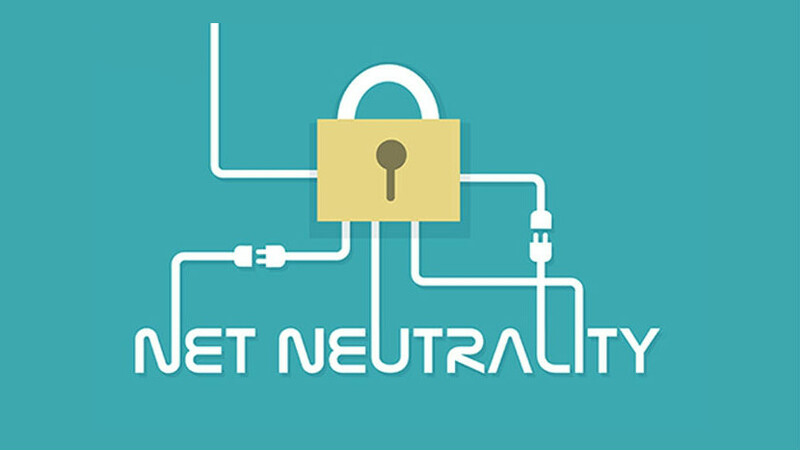 In our view, Net Neutrality is the cornerstone of the Internet. All Packets Are Created Equal. Our competition’s goal is to just create additional revenue streams and ways to re-monetize the service you are already paying for. Metroplex was started back in 2014 because we got fed up with the likes of AT&T and Time Warner Cable. We decided that since no one could get us really high speed Internet to our building in Addison, we would just do it ourselves, and help out our neighbors along the way. 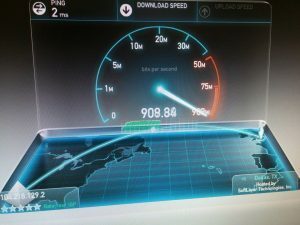 So after about 6 months of anxious anticipation, our first Fiber Circuit went live. We started with just 500 Megabits in July of 2014 and 4 months later grew to 1.5 Gigabits of capacity. Our first Tower was only 65 feet high but it was tall enough to light up most of Addison. As a fellow Internet user one of the most frustrating things is when you are watching Netflix or YouTube and the dreaded buffering circle of doom shows up. Most people have never really experienced good Internet. Broadband Internet is what the majority of people have in their homes and businesses today. It’s cheap, lagged, unreliable and never really works when you what to use it the most. These broadband systems take advantage of decades old copper on poles and in the ground. For instance, AT&T’s U-Verse product is just marketing jargon for Bonded Digital Subscriber Line. DSL is a 20+ year old technology. All AT&T did was put some marketing spin on the same old product and sell it to you for more money. Cable Internet is just as bad or in some cases worse and operates in a manner similar to ThinNet Ethernet from the 1980s. The only technology that mostly got it right was Verizon’s FiOS Fiber Optic Internet service where the fiber goes right to your home. In contrast, Metroplex uses Fiber Optics everywhere we can. Metroplex started with Fiber To the Tower. Our network now consists of a hybrid Microwave and Fiber Optic design. As a result of our hybrid network, we get the best of both worlds. We can get customers up and running in days with Microwave or get them a super fast Gigabit Internet connection with Fiber Optics. Most of all, our hybrid network makes us resilient, as we have redundant connectivity in the sky and in the ground. Someone go reboot the router! All of the competition’s Broadband systems we mentioned above, use the cheapest possible client device for the end user. With the growth of the connected individual, these cheap Chinese manufactured modem’s and WIFI Routers can’t handle the load. They do that because profit is their only motivator. That’s why you have to reset your cable modem or WIFI Router every few weeks. Part of the Metroplex way of doing things, is making sure you have the right equipment. You wouldn’t try to haul a boat with a bicycle? Why not make sure the equipment you are using for your Internet service will be able to handle the load. What sets Metroplex apart from the competition? Our goal is simple, “The Internet should be Always On, Super Fast and Just Work.” That, and we love what we do. We get a thrill out of seeing people’s reactions when they really experience the Internet the way it was meant to be. Scale the Router and WIFI equipment to properly suite the needs of the customer. Make DNS operate as fast as possible. Prioritize DNS, HTTP traffic over file downloads. Remove as much unwanted malicious and garbage traffic upstream before it gets to our customer’s network. Peer directly with major content providers like Google, Netflix, and Facebook. Hey can you come hook up my house? We are mostly a Business to Business Internet Service Provider, however there are a few exceptions. We are doing two Pilot projects, one in the Flower Mound area and one in the Irving, Las Colinas area. In the Flower Mound area we are deploying Gigabit Fiber to the Home. In Las Colinas we are deploying Gigabit Fixed Wireless. Depending on how these projects turn out will determine how much residential service we will offer in the future. We currently offer service in Addison, Carrollton, Farmers Branch, and Las Colinas. Internet so fast, it'll give you whiplash. © Copyright 2018 Metroplex Communications, inc, All Rights Reserved.